This year, Nanguang participated in the Indian exhibition again after many years. 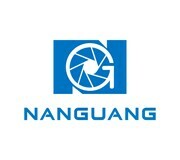 Nanguang booth was at E-513, Hall 3. Now, let's have some review for Nanguang at Broadcast India Show 2018. The panorama of Nanguang booth. Our most attractive products is the RGB series especially the Pavolites tube. Master-slave control, easily use in studio or on location. It attracts many visitors come to our booth to check and play with our products. Also,we show our RGB panel lighting kit MIXKIT 3S and 3M,they also attract lots of attention as they could offer you variety of shooting requirement. Besides NanGuang booth,you could also find NanGuang professional broadcasting products in DATAVIDEO booth with the Chroma Key studio. We enjoyed the three days show and talk with so many new and old clients.Thank you so much for visiting our NanGuang booth.Looking forward to seeing you next Broadcast India show~!